Classified » Business & Office » Businesses for Sale » Don't leave your floor ugly and alone.???? 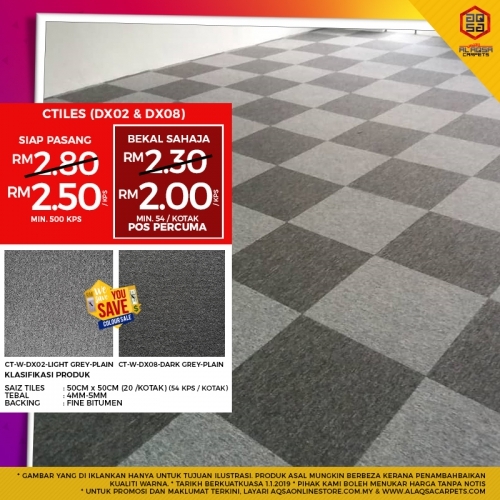 Give it the best look with Carpet Tiles.???? Don't leave your floor ugly and alone.???? Give it the best look with Carpet Tiles.???? If you have an alone floor then we have the best floor tile for your home floor.???????? Come and see us; we are sure you won't be disappointed.??? ?